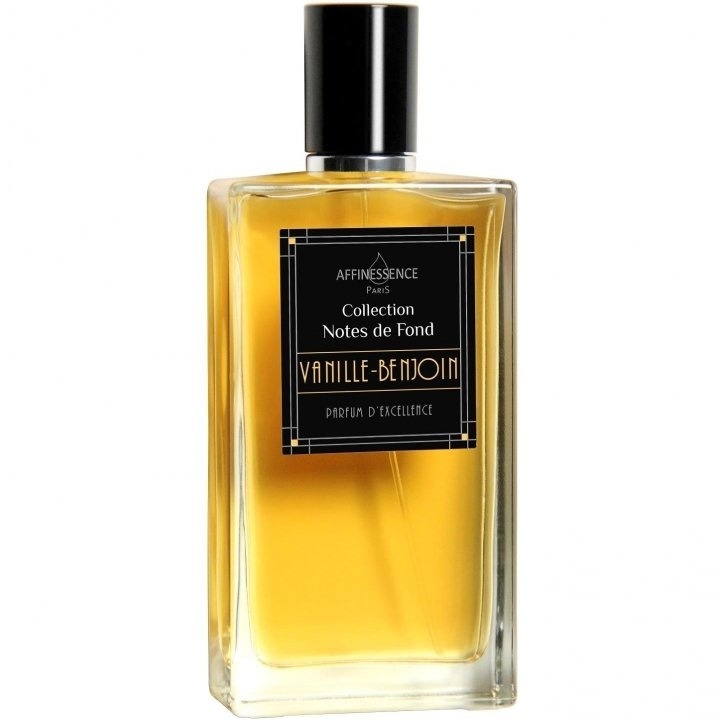 Notes de Fond - Vanille-Benjoin is a popular perfume by Affinessence for women and men and was released in 2015. The scent is powdery-sweet. It is still in production. Outside it is cold and stormy and the darkness of the night threatens to devour every innocent creature that dares to venture out into this inhospitable environment. Only here, in the fireplace room, is it cosy and homely. The fire blazes in the open fireplace and fills the room with a golden light. Whoever ignited the fire seems to understand his craft, because clouds of smoke or smoke cannot even be guessed. Next to the fireplace, dry wood is stacked so that the fire can be fed again at any time and the cold is excluded. On the low table in front of me lie desirable treasures: Shiny black vanilla pods from Tahiti and Madagascar, which exude their noble, unsweet scent into the air, the amber-coloured resin of Styrax tonkinensis, whose balsamic, flattering aroma is combined with vanilla in the room atmosphere to create a true delicacy. A few black tonka beans with a delicate almond rum scent and a lonely cinnamon stick have mingled among the treasures, a little aside I discover a freshly stuffed pipe, which together perfects the olfactory harmony that surrounds me. Here it is quiet and peaceful, only the quiet crackling of the fireplace can be heard. The whole room is filled with an idyllic peace, I am in harmony with myself and my world. 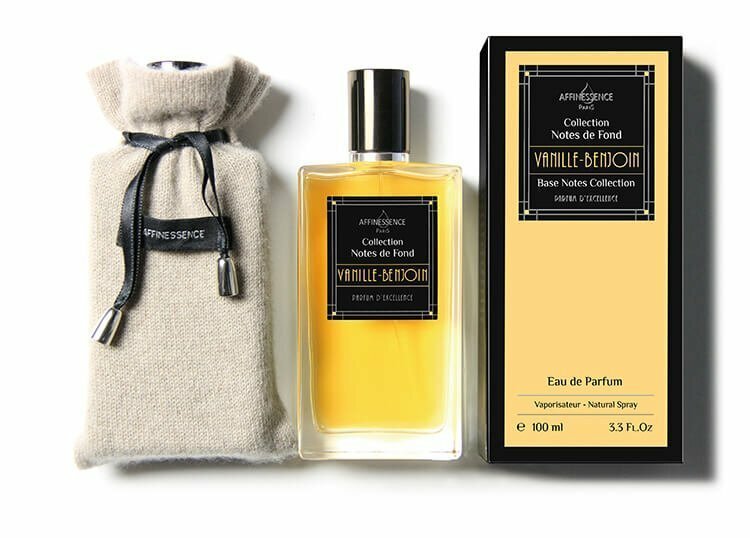 Write the first Review for Notes de Fond - Vanille-Benjoin!